Anyone who’s been living that Keto life knows eggs are huge staple food. But, it’s easy to get sick of the same old thing and crave a non egg-based breakfast. What I have for you today are 17 breakfasts that are not eggs, like muffins, donuts, and bagels. Mmmmm. 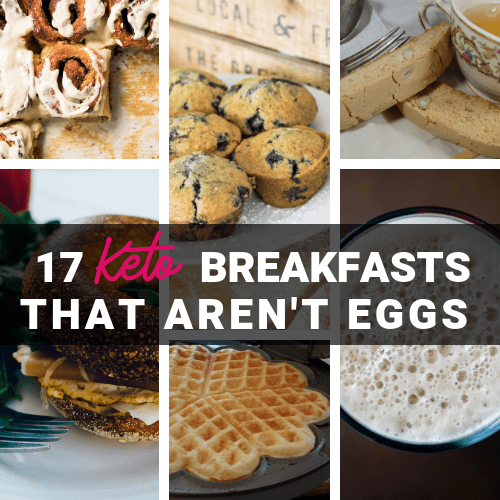 There are plenty of tasty, but healthy, ketogenic breakfasts that will fill you up and start your day right. No matter if your craving sweet or savory, we gotcha covered!